Yes, This title looks very much like my previous article on Maps.me In fact, we will see that the two applications are complementary, and unfortunately, one does not replace the other ! 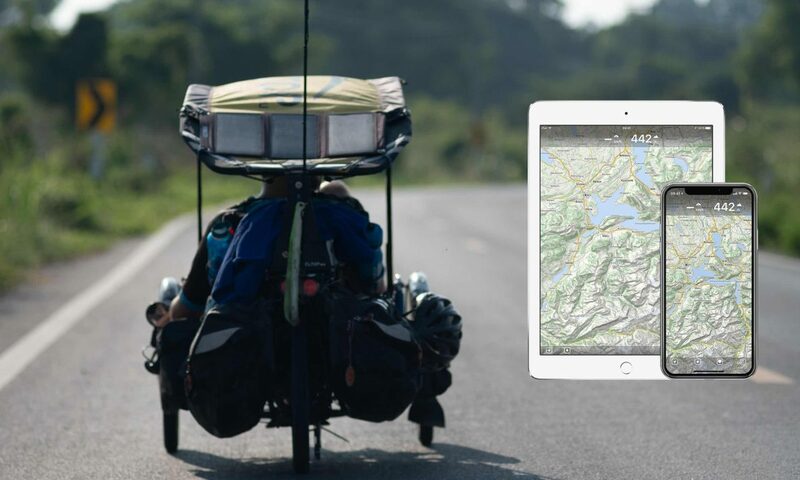 Let me introduce you MapOut, wonderful app cards offline and extraordinary with innovative features and a different user experience. 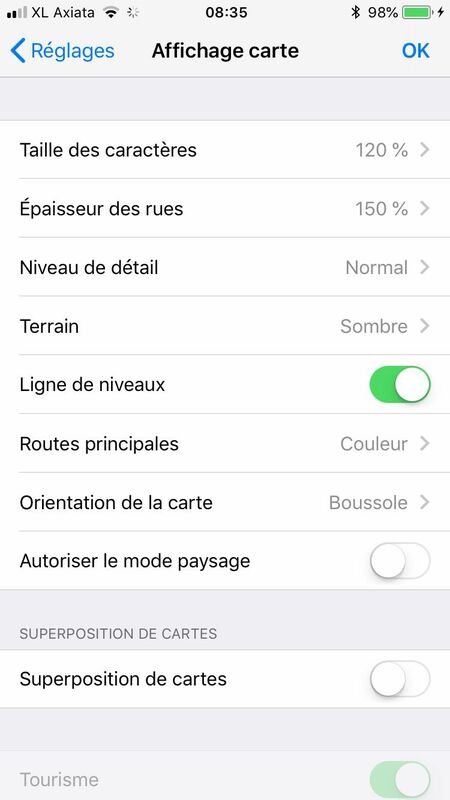 This application costs € 5.49 on the AppStore French. You'll quickly understand why this is a great investment. The Card Download is done by selecting squares on the card. 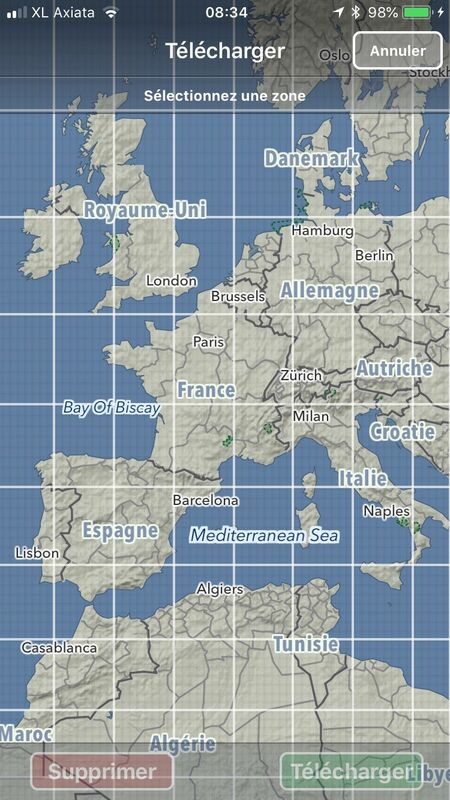 The more you zoom, more squares become small so you can precisely select the areas that interest you. Practice for phones that lack of available space ! Fast and fluid... Nothing like Maps.me which sometimes takes several seconds to load map. You can move at full speed without fear of slowdowns. The card and the data come from OSM (Open Street Map) so the roads will be the same as Maps.me without owning its database of points of interest ... It is the alone major defect application. It is therefore not will not this application to search for a hotel or restaurant (even if a search function exists in the application). MAPOUT uses a lot of pop-up menus to perform all actions and is sometimes confusing. Here are the settings I use. Many allow display options to find maximum comfort viewing. 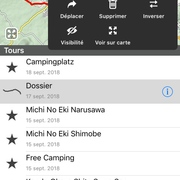 The killer-feature this app ! 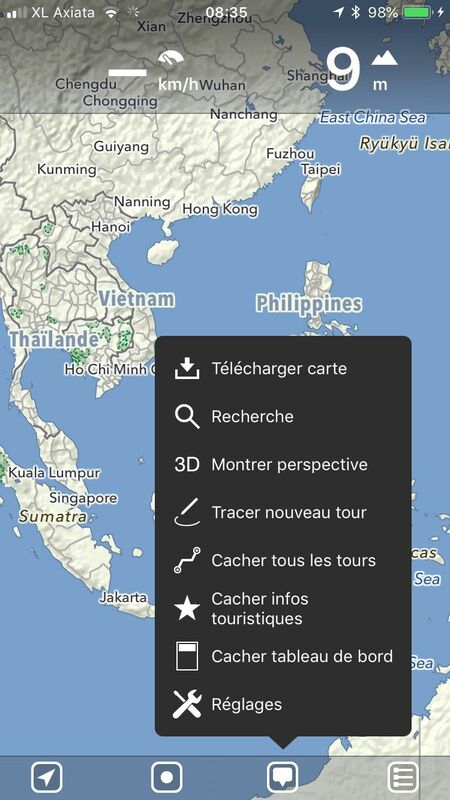 Who has not dreamed of tracing a route on the screen in the same way as a pen on a map ? Right here, it's possible ! With the added luxury of exactly follow the roads and be able to correct on the fly road sections. Wahou, it really is a pleasure to prepare his trip of the day or plan ahead ! If you like a little cards, you go love spend time plot your route directly to your phone. Unlike Maps.me, we can safeguard its tracks and therefore actually plan his route ! 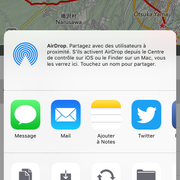 Ensuite, we can choose the option "Snap to roads" that the route will automatically paste on roads. It works only when there is a road near your basic course. Sometimes, it works fine, sometimes not at all and must be corrected by hand. 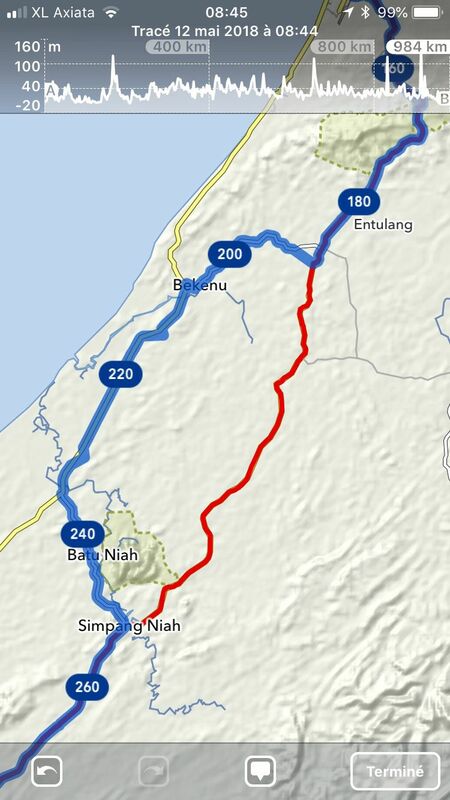 The final result after using the option "Snap to roads". Right here, it worked well. In edit mode, one can trace the route with his finger on the map and the route is "magnetized" to perfectly stick to the road network. At the top of the screen, seen at all times height difference course. You can quickly see where the passes are. Clicking on finish, the layout is amended. Simple as that ! By clicking on the plot, one enters the viewing mode of the course. Points A and B are placed automatically in the field of view depending on your zoom level and then you can simply move your way. At the top of the screen, we can see Instantly altitude which is the path that we have just drawn. You can move points A and B to focus only on a portion of road. When your current position on the track, you can even see where you stand in the elevation pattern. Practice at major climbs ! There is also a 3D viewing mode very convenient that uses the device's gyroscope. By tilting the phone, clearly we see what are the best options to avoid the larger mounted. You can also add points of interest. 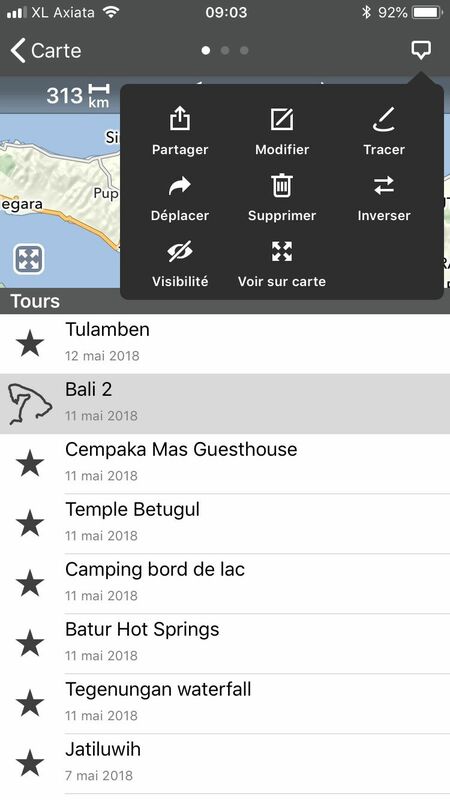 You place the desired point by dragging it on the map, he takes automatically the name of the place selected or you can specify it manually. The management of points of interest is quite similar to Maps.me. 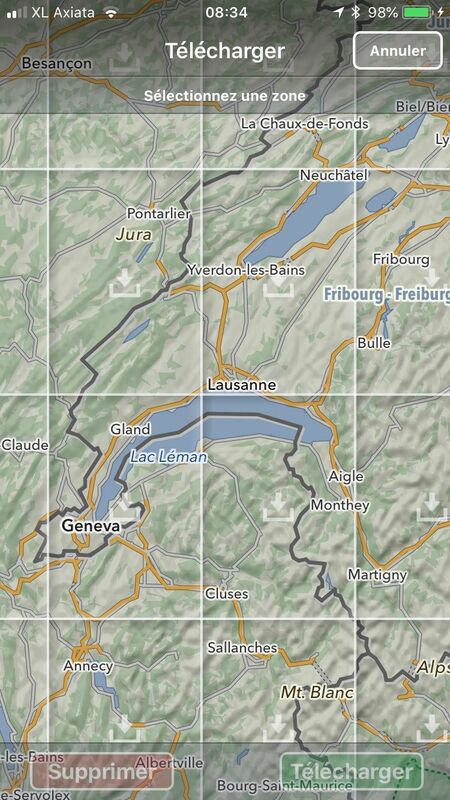 You can create lists containing points and plotted, display or hide points and tracks on the map. You can share plots between applications via the option ofexport. Attention ! It's not always easy to understand how to add, edit and delete a point on the map. The user interface could be improved or simplified surely. Another little submenu to know to add a landmark ... Not necessarily more practical ! 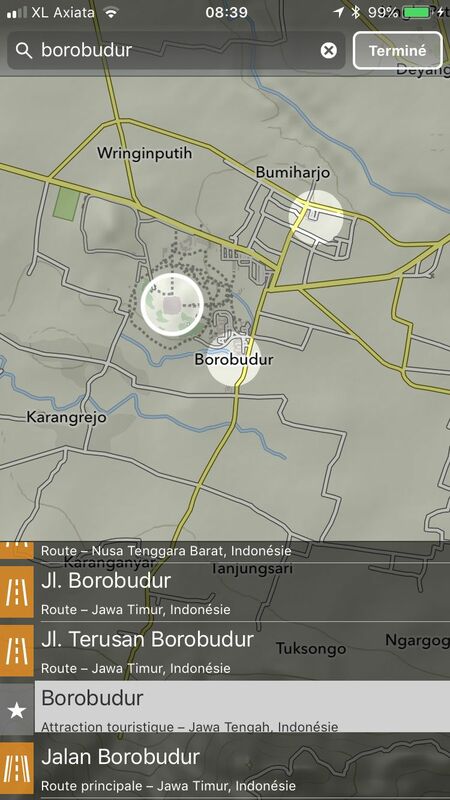 The landmark automatically takes the name of the place by moving with his finger on the screen. You can also change the name manually if needed. For importer a plot in MAPOUT, the best solution is to send an email to the address you specified in the settings, you type [email protected]. 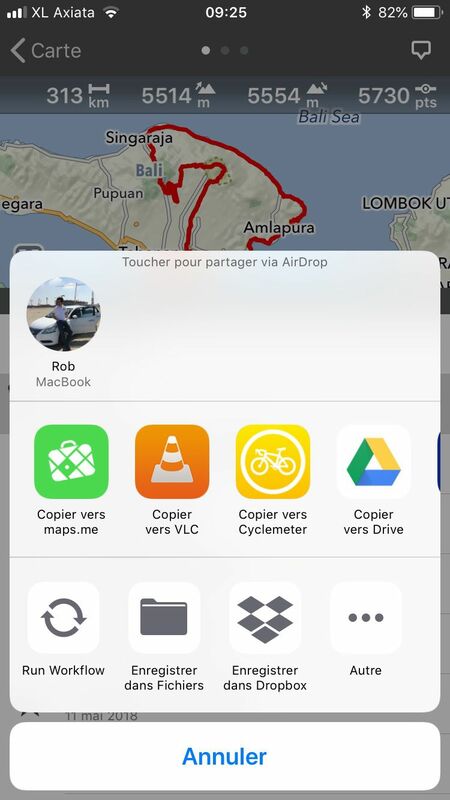 Another way is to use standard sharing options for your iOS device and open the file .GPX or .KML with MAPOUT. The list of courses and landmarks. Very similar to Maps.me. Up, always pop up, all options, display and export. One can easily juggle two Maps.me MAPOUT and applications to draw their individual strengths. The application is relatively difficult to fully use. It is often mistaken function and it will take a little time to adapt to understand the different modes (between editing and viewing routes such). The search mode is almost unusable. Could not get an address as Google Maps or even the name of a hotel or restaurant. Tunnels and bridges are not considered in the altitude display on a course. It's quite unsettling times. It would then become the perfect application of the bike traveler. We must therefore see this application as a pure application cartography and of route planning. I highly recommend it for its innovative layout mode and fluidity. It's simple, I use it every day ! Great indeed. But I can not create lists of points of interest. I would like to export them at once with the route. It is possible to create interest poins lists (called "folders" in MAPOUT) using the upper right dialog box in the "management of the towers' tab. The trick is to select a point of interest and then use the "Move" and then select the second point of interest. This will create a folder with the two points. You can then rename the resulting file (because there is no title originally) and then export it as an export point of interest. Thank you deeply Robin. It works… but alas export. I did as a possibility for a group that : Modifier, Move, Remove, Visibility. Do you icon “Export” ? 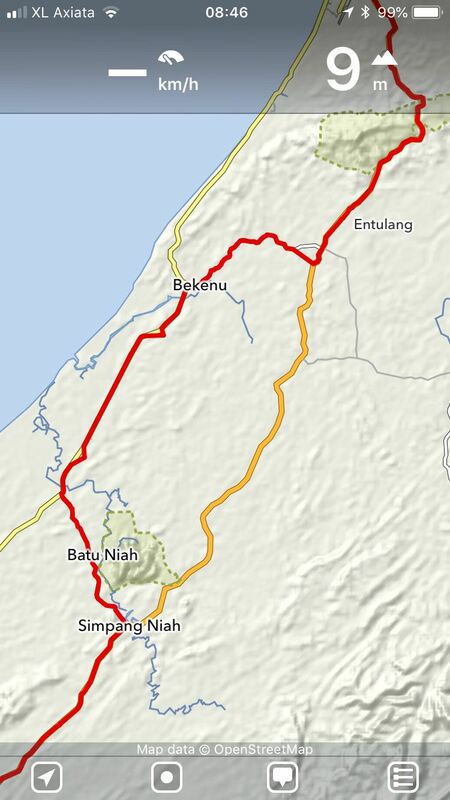 My goal is to export in the same GPX both the route and points of interest, there may be another way to do ? It's strange, I have the export option when I select my file. See my screen shots. In my example, I have a plot + 2 points of interest. Is there a comparable app on Android Playstore ? 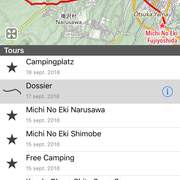 I do not have any Android device but many travelers bike told me about OsmAnd, otherwise there Maps.me.